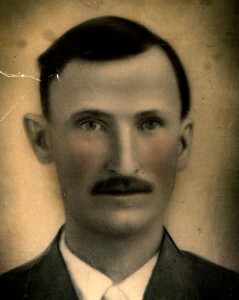 Jeffrey Hill was the son of Dr. John David Hill and Hazel Ann Lipscomb. [S1572] Unknown article title, Obituary - Wesley B Harn, http://www.hannibal.net/stories/071198/Harn.html, 11 Jul 1998. Hereinafter cited as Obituary - Wesley B. Harn. [S1573] Jessie Maxine Stratton, unknown file number, SSDI - Jessie Harn, unknown series (n.p. : n.pub.). Hereinafter cited as SSDI - Jessie Harn. George William Struck was a Catholic. He graduated in 1951 at Natrona Co. High School, Casper, Natrona Co., Wyoming. He lived in April 1960 at 1030 W. 22nd, Casper, Natrona Co., Wyoming. He lived bt 1963 - May 2005 at 601 2nd Ave. West, Rock Springs, Sweetwater Co., Wyoming. He lived in October 2014 at 1804 Elk, #80, Rock Springs, Sweetwater Co., Wyoming. ROCK SPRINGS — George Struck, 82, of Rock Springs, Wyoming passed away on Monday, November 24, 2014 at his home. He was a long time resident of Rock Springs, Wyoming. He was born on December 25, 1931 in Casper, Wyoming, the son of the late William and Freda Struck. Mr. Struck attended schools in Superior, Wyoming and St. Anthony’s in Casper, Wyoming and graduated from Natrona High School in 1950. He married Georgia Fay Warfel Struck on April 21, 1956 in Casper, Wyoming. Mr. Struck was a United States Navy Veteran of the Korean Conflict. He served from May 30, 1950 until April 15, 1954 when he was honorably discharged. He was employed as a mechanic and a salesman at Morgantown Machine and retired in 2000. Mr. Struck was a member of Holy Spirit Catholic Community. Survivors include his wife Georgia Fay Struck of Rock Springs, Wyoming; one son Dan Struck of Rock Springs, Wyoming; three daughters Susan Nichols and husband Steve, Bonnie Legerski and husband Bob all of Rock Springs, Wyoming, and Terri Redman and husband Steve of Layton, Utah; three grandsons Matt Legerski and wife Meagan, Phillip Trujillo-Nichols and Dan Nichols and wife Sarah; one grand-daughter Kristin Legerski Doerr and husband Jason; three great-grandchildren Ava Doerr, Addison Doerr and Sadie Nichols. He was preceded in death by his parents and one son David Struck. Upon his death, his family received a Presidential Memorial Cerrtificate for George William Struck, from President Obama. [S2338] George Struck (December 25, 1931 – November 24, 2014), Sweetwater Now (Online), http://www.sweetwaternow.com/george-struck-december-25-1931-november-24-2014/, 25 Nov 2014, n/a. Hereinafter cited as Sweetwater Now (Online). [S2377] George William Struck, death 804175 (03 Dec 2014), unknown repository, unknown repository address. Hereinafter cited as Death Cert: George William Struck. Source Citation: Year: 1940; Census Place: Casper, Natrona, Wyoming; Roll: T627_4573; Page: 14B; Enumeration District: 13-9. 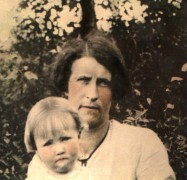 Georgia Fay Warfel is the daughter of George Stewart Warfel and Mildred Fay Weidman. Georgia Fay Warfel married George William Struck, son of William Ismael Struck and Freda Trujillo, on 21 April 1956. Daniel David Struck is the son of George William Struck and Georgia Fay Warfel. Bonnie Lynn Struck is the daughter of George William Struck and Georgia Fay Warfel. Bonnie Lynn Struck married Robert P. Legerski, son of Joseph Legerski and Edith Lucas, on 4 June 1977 at Wyoming. [S2368] Wyoming License & Certificate of Marriage for Steve Redman and Terresa Struck, Steven Harn Redman, 2633 N. 1600 E., Layton, Davis Co., UT. Hereinafter cited as Wyoming License & Certificate of Marriage. [S2369] Steven Redman and Terresa Struck marriage, 25 may 2002, Steven Harn Redman, 2633 N. 1600 E., Layton, Davis Co., UT. Original certificate. Susan Renee Struck is the daughter of George William Struck and Georgia Fay Warfel. 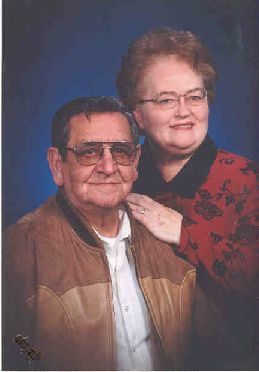 Susan Renee Struck married Steven J. Nichols, son of Arthur Nichols and Eva J. (? ), on 4 May 1985. David Dean Struck was born on 2 September 1970 at Rock Springs, Sweetwater Co., Wyoming. He was the son of George William Struck and Georgia Fay Warfel. David Dean Struck died on 3 January 2007 at Rock Springs, Sweetwater Co., Wyoming, at age 36. He was buried on 8 January 2007 at Rock Springs Cemetery, Rock Springs, Sweetwater Co., Wyoming. David Dean Struck was the most eloquent of teachers, though he never spoke. "David was totally reliant on other people's care," says Sue Pavelik, a former nursing manager at Southwest Wyoming Rehabilitation Center in Rock Springs, where David lived until his death on Jan. 3. "And yet he taught me more about life than anyone except my own child. In his world, we were the different ones." He needed patience as others fed, bathed and clothed him. He needed creativity in order to make his needs known. "He almost walked, but he never talked," his mother, Fay Struck, recalls. "He communicated with his eyes, and you just knew what he was thinking. You wanted to do for him." If he was happy, Sue said, David would rock back and forth contentedly. If he was uncomfortable, his eyes would get wide or he would squirm. David was a beautiful young man. "He had the thickest black hair I've ever seen," Sue recalls, likening it to the hair on one of her childhood dolls. "He had big brown eyes and thick, thick, thick black eyebrows. He was George's clone." Despite his normal birth, the Strucks realized David wasn't like other children. University of Utah doctors diagnosed brain damage -- but could not pinpoint the cause. They could do nothing. Besides, they told the Strucks, children like David usually died before the age of 3. "We had him for almost 37 years," Fay says. The Strucks brought their son home and lavished love on him. They took him everywhere, even on camping trips. "He was such a cuddly little thing," Fay remembers. He lived with them for 12 years, but it couldn't last. "He just got too big to lift," Fay says. She and George sent him to the Wyoming State Training School at Lander, where he lived for 19 years. Fay and George visited him there two or three times a month. The school was good for David, she remembers; the staff took him camping and horseback riding, and he made many friends. Befriending David was easy. Something about him drew people, even strangers. "There was nobody that didn't like him. He had a very contagious smile," Sue recalls, "and when his parents came into the room, he lit up." As Fay and George aged, the trip became harder on them. "We started missing him a little too much," Fay says, "so we brought him home. He was still the same sweet little guy." They moved him into the rehabilitation center. When Sue first met the Strucks, she says, "I thought, 'My God, I'm never going to be able to please these people!' Then I realized they wanted things to be a certain way because they loved him so much. He has an amazing family." One client at the center made sure he had one of her stuffed animals every day. "She mothered him to death," Sue recalls. Another kissed him on the head every time he passed. David fell ill often, and sometimes he had to be fed through a tube. Sue recalls reintroducing him to solid food, an applesauce-consistency concoction the staff wasn't sure he would like. He rolled it around in his mouth, tasting and testing. "Then he let out a cry and made this wonderful face," Sue says. "He was so excited -- like a baby bird opening its mouth for a worm." Time after time, David bounced back from bouts of pneumonia. His caregivers got so used to his resiliency that when he finally succumbed, they were shocked. At the viewing, one caregiver fell apart. Another -- pregnant at the time -- drove in from Salt Lake City for the viewing, then drove back the same night. "There was a lot of laughter ... and a lot of tears," Sue says of the viewing. "He did more for everyone than they realized," Fay says, then adds, "He did more for us than we realized." "I think about him every day," Sue confesses. "He was sent to teach the rest of us." He was George's best buddy. He was Fay's pride and joy. ROCK SPRINGS David Dean Struck died Wednesday, Jan 3, 2007, at Memorial Hospital of Sweetwater County of respiratory complications. He was born Sept. 2, 1970, in Rock Springs. He was one of the first students at the Child Development Center, which he attended for eight years. He was taught by Karen Oldfield for one year. He then moved to the Wyoming State Training School in Lander where he lived for 19 years. He then moved back to Rock Springs and resided at the Southwest Wyoming Rehabilitation Center until the time of his death. Survivors include his parents, George and Fay Struck of Rock Springs; one brother, Dan Struck of Van Nuys, Calif; three sisters, Bonnie Legerski and husband Bob of Rock Springs, Terri Redman and husband Steve of Layton, Utah, and Susan Nichols and husband Steve of Rock Springs; three nephews, Matt Legerski of Salt Lake City and Philip Trujillo-Nichols and Dan Nichols, both of Rock Springs; one niece, Kristin of Laramie; and many friends. He was preceded in death by his paternal grandparents, William and Freda Struck; and his maternal grandparents, George and Mildred Warfel. A Mass of Christian burial will be celebrated at 10 a.m. Monday, Jan. 8, 2007, at SS. Cyril and Methodius Catholic Church, 633 Bridger Ave., Rock Springs. A parish rosary will be recited at 7 p.m. Sunday, Jan. 7, 2007, at the Vase Funeral Chapel, 154 Elk St., Rock Springs. [S1783] 'He was their angel' - David Dean Struck, online http://www.casperstartribune.net/. Hereinafter cited as 'He was their angel' - David Dean Struck. [S1771] Rock Springs Rocket Miner Newspaper, online http://www.rocketminer.com, Obituary for David Dean Struck, published on 05 Jan 2007. Hereinafter cited as Rock Springs Rocket Miner Newspaper. Robert P. Legerski is the son of Joseph Legerski and Edith Lucas. Robert P. Legerski married Bonnie Lynn Struck, daughter of George William Struck and Georgia Fay Warfel, on 4 June 1977 at Wyoming. Matthew Sean Legerski is the son of Robert P. Legerski and Bonnie Lynn Struck. Matthew Sean Legerski married Meagan Rose Pearson, daughter of Dennis Pearson and Kaylene (? ), on 25 October 2014 at 2050 Creek Road, Sandy, Salt Lake Co., Utah. Kristin Lynn Legerski is the daughter of Robert P. Legerski and Bonnie Lynn Struck. Kristin Lynn Legerski and Jason Rodgers Doerr were engaged circa 31 December 2006 at Wyoming. Kristin Lynn Legerski married Jason Rodgers Doerr, son of Kenneth W. Doerr and Stacey A. (? ), on 29 September 2007 at Saint Cyril & Methodius Catholic Church, Rock Springs, Sweetwater Co., Wyoming. Steven J. Nichols was born on 11 November 1959 at Winfield, Cowley Co., Kansas.1 He was the son of Arthur Nichols and Eva J. (? )1 Steven J. Nichols married Teresa (?) between 1977 and 1978 at Oklahoma. Steven J. Nichols married Susan Renee Struck, daughter of George William Struck and Georgia Fay Warfel, on 4 May 1985. Steven J. Nichols died on 20 January 2016 at 508A Yellowstone Rd, Rock Springs, Sweetwater Co., Wyoming, at age 56. He graduated in 1977 at South Haven High School, South Haven, Sumner Co., Kansas.1 He was employed between 1978 and 2015 at Jim Bridger Power Plant, Wyoming.1 He lived in January 2016 at 508A Yellowstone Rd, Rock Springs, Sweetwater Co., Wyoming. ROCK SPRINGS — Steven J. Nichols 56, of Rock Springs WY, passed away Wednesday, January 20th, 2016 peacefully at his home after fighting a battle with a terminal brain disease. A longtime resident of Rock Springs, he was born on November 11th, 1959 in Winfield Kansas but always considered himself a Wyoming native. He attended school in Kansas and was a graduate of South Haven High School class of 1977. He moved to Rock Springs in 1978 and started working at Jim Bridger Power Plant, where he worked for 37 years. He married his wife of 30 years Susan Nichols on May 4, 1985. 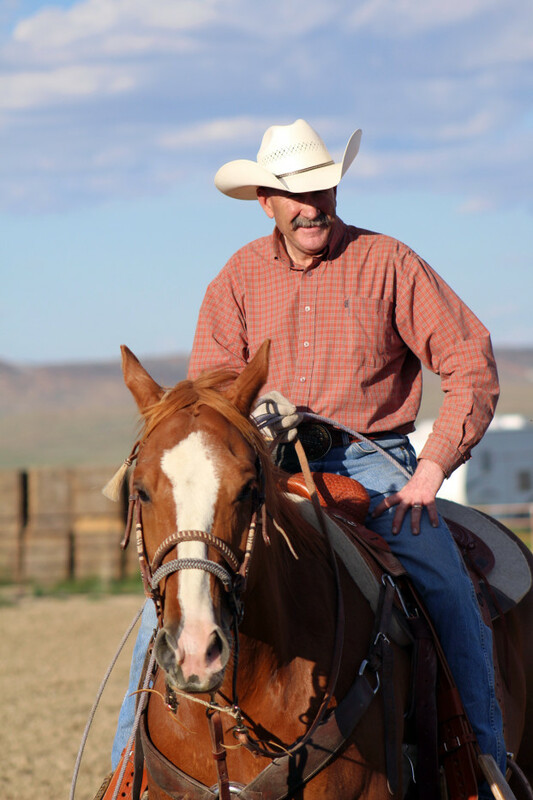 Steve’s interest included team roping, hunting with his family and training young horses. He especially loved roping at the ranch and going to jackpots with his son. Survivors include his wife Susan Nichols of Rock Springs, three sons Dan Nichols and wife Sarah Nichols of Rock Springs, Garrett Nichols of Emporia Kansas and Phillip Nichols of Salt Lake City Utah, one daughter Melissa Bruce and husband Rick of Eureka Kansas, mother Eva J. Sapp of Blackwell Oklahoma, sister Susan Kutilek of Wichita Kansas, brother Bruce Crittenden of Oklahoma City Oklahoma, granddaughter Sadie Nichols, two grandsons, Ryan and Adam Bruce. He is preceded in death by his father Arthur Nichols, stepfather, Orlan Sapp and father in law George Struck. Steve will be remembered as a great husband, father, friend and cowboy. A celebration of life will be conducted at 2:00 P.M. Saturday, January 23, 2016, at the Sante Fe Southwest Grill, 1635 Elk Street, Rock Springs, Wyoming. [S2372] Steven J. Nichols (November 11, 1959 – January 20, 2016), Sweetwater Now, http://sweetwaternow.com/101561-2/, 21 Jan 2016, n/a. Hereinafter cited as Sweetwater Now. Mildred Fay Weidman was born on 13 December 1917 at Roberts, Carbon Co., Montana. She was the daughter of William Frederick Weidman and Jane Walker. Mildred Fay Weidman married George Stewart Warfel, son of Paul Fred Warfel and Floy Madelenda Parks, on 3 August 1935 at Roberts, Carbon Co., Montana. Mildred Fay Weidman died on 26 September 1999 at Lovell, Big Horn Co., Wyoming, at age 81. As of 3 August 1935,her married name was Warfel. She lived in February 1994 at Basin, Big Horn Co., Wyoming.2 Her Social Security Number was 517-18-7167 issued in Montana. Lists last residence as Powell, Park Co., Wyoming, born 13 Dec 1917 and died 26 Sep 1999. LOVELL, Wyo. - Heavenly father received an angel on Sept. 26, 1999. Mildred Fay Warfel was born on Dec. 13, 1917, to Jane and William Weidman in Roberts, Mont. She attended Joliet schools and married George S. Warfel on Aug. 3, 1935. They lived in Montana for many years then moved to the Big Horn Basin in Wyoming. Mildred was a cook at the school in Hyattville, a clerk at the Ben Franklin Store in Greybull and worked for many years as a dispatcher for the Big Horn County Sheriff's Department. Her son, David and wife, Sandi of Greybull, Georgia Fay Struck and husband, George of Rock Springs, and Sharon Sanders and husband, Merrill of Cody survive her. Surviving grandchildren are DaNae Good, DaNette Vigil, Dan Struck, Bonnie Legerski, Terri Struck, Susan Nichols, David Struck, Sherrill Sorensen, Mark Sanders, Lori Toney, Scott Sanders, Brent Sanders and 24 great-grandchildren. Three sisters, Jane Mann, Viola Masterson and Violet Kittsmiller also survive her. Her parents, two brothers and four sisters preceded her in death. Our loving mother was a real lady and will be remembered for her kind nature. At her request, no funeral services will be held and cremation has taken place. The family requests that memorials be sent to the Ronald McDonald House or to the charity of their choice. [S1705] Web site of Merrill and Sharon Sanders, online http://www.pilotindexpeak.com/. Hereinafter cited as Web site of Merrill and Sharon Sanders. [S2355] Helen Dorothy Rissler, Star Tribune, Casper, Wyoming, http://ancestry.com, 16 Feb 1994, B2, saved from Ancestry.com. Hereinafter cited as Star Tribune. George Stewart Warfel was born on 27 June 1913 at Salem, Dent Co., Missouri.2 He was the son of Paul Fred Warfel and Floy Madelenda Parks.1 George Stewart Warfel married Mildred Fay Weidman, daughter of William Frederick Weidman and Jane Walker, on 3 August 1935 at Roberts, Carbon Co., Montana. George Stewart Warfel died on 6 May 1998 at Sage View Care Center, Rock Springs, Sweetwater Co., Wyoming, at age 84.2 He was buried in May 1998 at Cody, Park Co., Wyoming. George Warfel was admitted to Montana State Prison on 26Jan1933 when he was 19-years old. Convicted of grand larcenty with a sentence of 2-years for stealing a horse in Bridger, Montana. Paroled 01Apr1932.3 His Social Security Number was 517-18-7166 issued in Montana, last residence Powell, Park Co., Wyoming. Born 27 Jun 1913 and died 06 May 1998. A memorial service for George Steward Warfel was conducted at 2 p.m., Friday, May 15, 1998, at the Greybull Elks Club, 622 Grebull Ave., Greybull. Warfel, 84, of 601 Second Avenue West, died at 2 a.m. Wednesday, May 6, 1998 at the Sage View Care Center, where he had been a patient since Dec. 23, 1997. A resident of Rock Springs since December and a former resident of Powell and Greybull, Warfel had been in ill health since October 1997. He was born June 27, 1913 in Reynolds County Mo., the son of the late Paul and Lena Parks Warfel. He attended schools in Missouri. Warfel married the former Mildred Weidman in Joiliet, Mont. on Aug. 3, 1935. He was the sheriff of Big Horn County for 23 years and was a member of the B.P.O. Elks Lodge 1431 and the Wyoming Peace Officers Association. Survivors include his wife, Mildred, of Lovell, and one son and daughter-in-law, David and Sandi Warfel of Greybull; two daughters and sons-in-law, Fay and George Struck of Rock Springs, and Sharon and Merrill Sanders of Cody; one brother, Roy Warfel of Shoshone; five grandsons Mark Sanders of Rock Springs, Dan Struck of Los Angeles, David Struck of Lander, Scott Sanders and wife Lisa of Kaycee, Brent Sanders and wife Debbie of Evanston; seven granddaughters, Bonnie Legerski and husband Bob, Terri Struck, Susan Nichols and husband Steve all of Rock Springs, Sherill Sorenson and husband Mark of Weston, Fla., Laurie Toney and husband Mark of South Haven, Mich., DaNae Good and husband Pablo of Greybull, DaNett Vigil and husband Joe of Worland, and 24 great-grandchildren; several nieces and nephews. He was preceded in death by his parents and two brothers, Edward and Emett. [S2406] George Steward Warfal, Rock Springs Daily Rocket-Miner, n/a, 16 May 1998. Hereinafter cited as Rock Springs Daily Rocket-Miner. Ancestry.com. Montana, Prison Records, 1861-1968 (database on-line). Lehi, UT. USA: Ancestry.com Operations, Inc., 2017. Original data: Montana, Prison Records, 1869-1974. Montana State Historical Society, Helena, Montana.. Hereinafter cited as Montana, Prison Records, 1861-1968. William Frederick Weidman married Jane Walker, daughter of Charles Green Walker and Melissa A. Elder. William Frederick Weidman was born on 4 April 1868 at St. Louis, St. Louis Co., Missouri. He was the son of Henry Weidman and Mary Benyas.1 William Frederick Weidman died on 19 December 1934 at Stillwater Hospital, Columbus, Stillwater Co., Montana, at age 66. He was buried at Roberts Cemetery, Carbon Co., Montana. The cause of death was cerebral trauma in an automobile accident. Jane Walker married William Frederick Weidman, son of Henry Weidman and Mary Benyas. Jane Walker was born on 23 January 1882 at Macon, Macon Co., Missouri. She was the daughter of Charles Green Walker and Melissa A. Elder.1 Jane Walker died on 30 July 1937 at Billings, Yellowstone Co., Montana, at age 55. She was buried at Roberts Cemetery, Carbon Co., Montana. Her married name was Weidman. He lived in 1999 at Greybull, Big Horn Co., Wyoming. He lived in August 2004 at 641 14th Ave N., Greybull, Big Horn Co., Wyoming; Address listed in www.switchboard.com on 04 Jun 2004. [S2034] David Eugene Warfel, online http://greybullstandard.com/, Posted online on 26Apr2012. Hereinafter cited as David Eugene Warfel. Sharon Jane Warfel is the daughter of George Stewart Warfel and Mildred Fay Weidman. Sharon Jane Warfel married Merrill Lyman Sanders, son of Elden Sanders and Isabelle Lyman, circa 1959. Merrill Lyman Sanders is the son of Elden Sanders and Isabelle Lyman.1 Merrill Lyman Sanders married Sharon Jane Warfel, daughter of George Stewart Warfel and Mildred Fay Weidman, circa 1959. Jane Weidman was born on 2 September 1922 at Roberts, Carbon Co., Montana. She was the daughter of William Frederick Weidman and Jane Walker. Jane Weidman married Cloycie Elmer Mann, son of John E. Mann and Clara N. Lawrence, on 21 June 1941 at Bozrman, Gallatin Co., Montana. Jane Weidman died on 30 June 2009 at Helena, Lewis and Clark Co., Montana, at age 86. Her married name was Mann. She lived in February 1994 at Helena, Lewis and Clark Co., Montana.1 She lived in 1999.